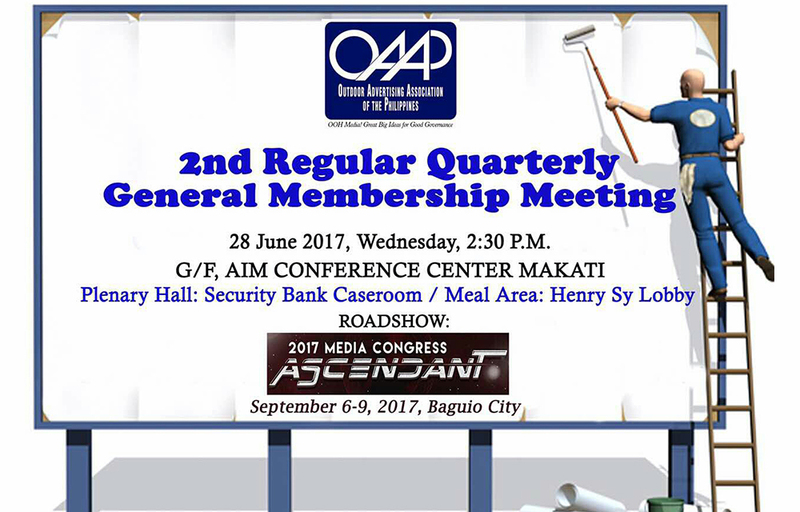 2:30PM, AIM CONFERENCE CENTER MAKATI CITY (G/F Security Bank Caseroom). There will be a Roadshow to promote the 2017 MEDIA CONGRESS. The presence and active participation of the company owners and official representatives are important and mandatory. 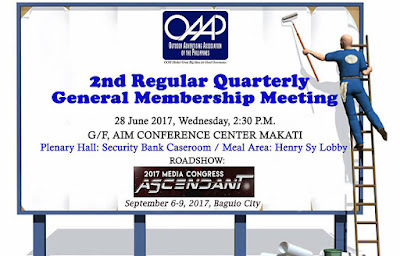 Outdoor Advertising Association Of The Philippines.